To stay up to date with new pattern launches and special offers, join our mailing list. There’s a free prize draw every month – one lucky knitter on the list wins a free pattern of their choice from Louise’s collection! Louise is often to be found on Ravelry.com, where you can join the discussion of Inspiration Knits patterns and other things in the Inspiration Knits group forum. Special offers, knitalongs and news are shared there too. You are welcome to send Louise a pm – her Ravelry name is Inspiration. Follow Louise on Twitter @inspirationknit. Like Inspiration Knits Facebook page. Thank you for visiting the blog – do comment on the posts – we’d love to hear from you! Thank you for your comment. 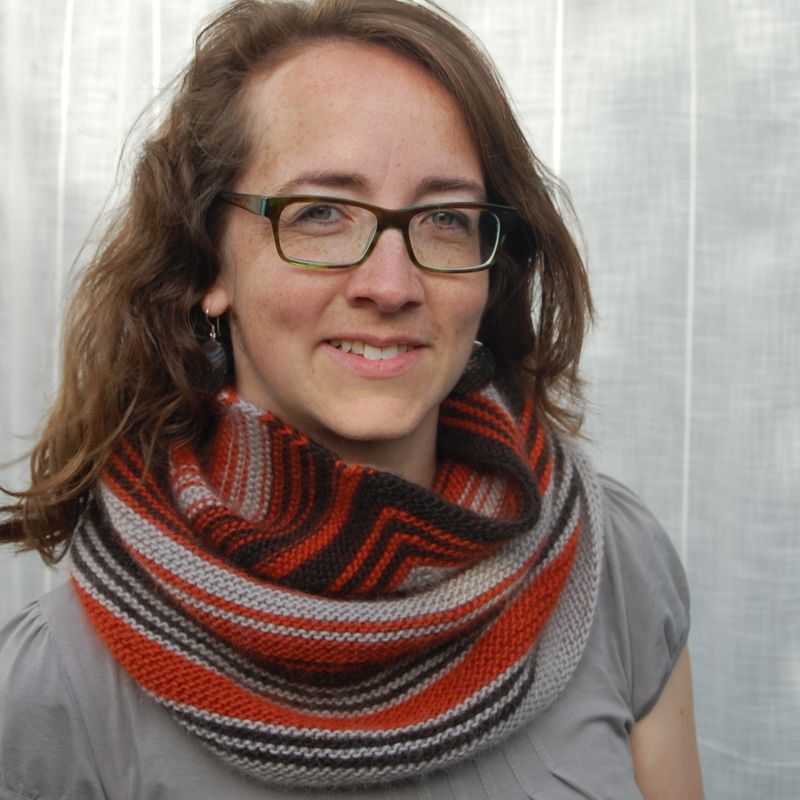 I know knitters are divided over cowls vs scarves vs shawls, but I like all of them! I design for all 3 options. I’m glad you like Song of the Sea. The design is patterned on every row, so whilst it’s possible to make flat it’s quite awkward – it’s hard to “read” on the wrong side rows. When made in the round, as in a cowl, it’s always being worked with the right side facing the knitter. Some people have adapted the pattern themselves already. However, I’m being asked increasingly for a scarf or shawl version, so maybe now is the time to see what I can do to adapt it! Hello…. What a fun MKAL, thanks! Did I miss something? On ravelry, it has that the hat is free with a MKAL code…. Was there one? Thanks have a great day…. There was a code given as a thank-you to the knitters who joined in the chat, gave helpful pattern feedback, shared tips, shared yarn choices and generally made it such fun – on the Ravelry forums. The final patterns reflect all this, especially the pattern feedback, so I felt a thank-you was in order. Without the forum discussions there would be, for example, no photo tutorials for everyone else to use.